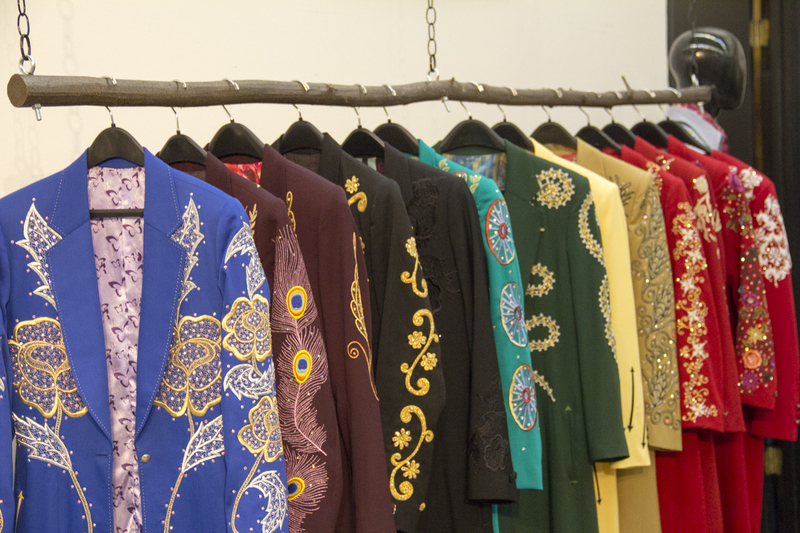 He’s been dubbed “The Rhinestone Rembrandt” but Manuel Cuevas goes by just Manuel. His work spans the course of over five decades and with clients like The Beatles, Elton John, Little Richard and Jack White, it’s no wonder Manuel has landed a spot as one of music makers’ top custom designers. 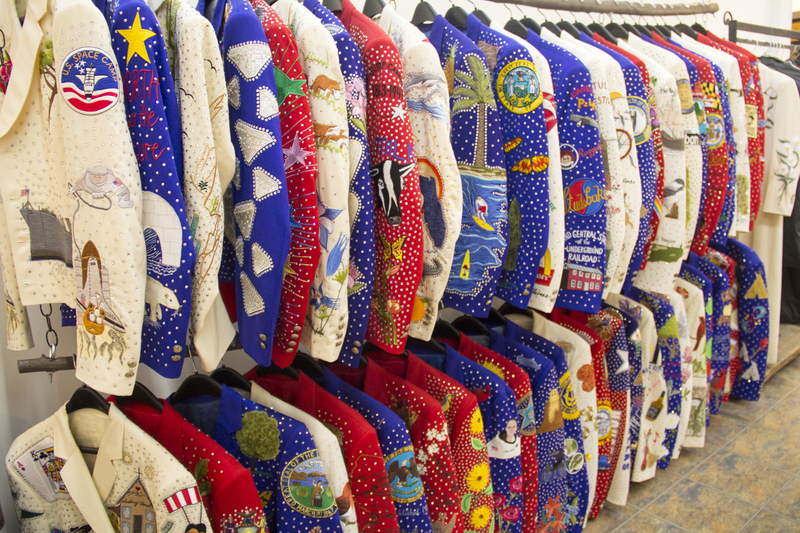 He single-handedly designed Elvis’s famous gold lame suit. He made Johnny Cash the Man in Black. 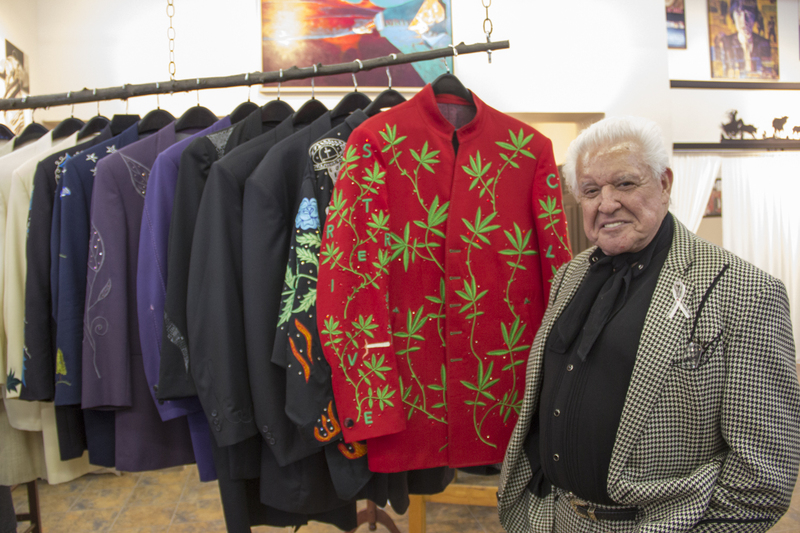 He is the mastermind behind the Grateful Dead’s roses and skeletons insignia, as well as the notorious inflated lips logo of the Rolling Stones. 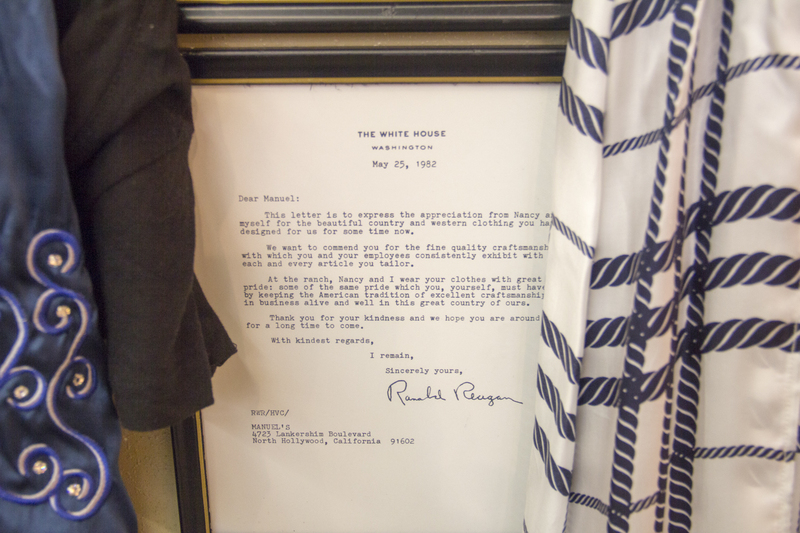 In his shop, a personalized letter from President Ronald Reagan hangs inconspicuously in a corner where Mr. Reagan expresses his sincere appreciation for Manual’s craftsmanship.Over dinner with Manuel, I heard about his relationship with Marlon Brando, Frida, and Pablo Picasso, to name a few. 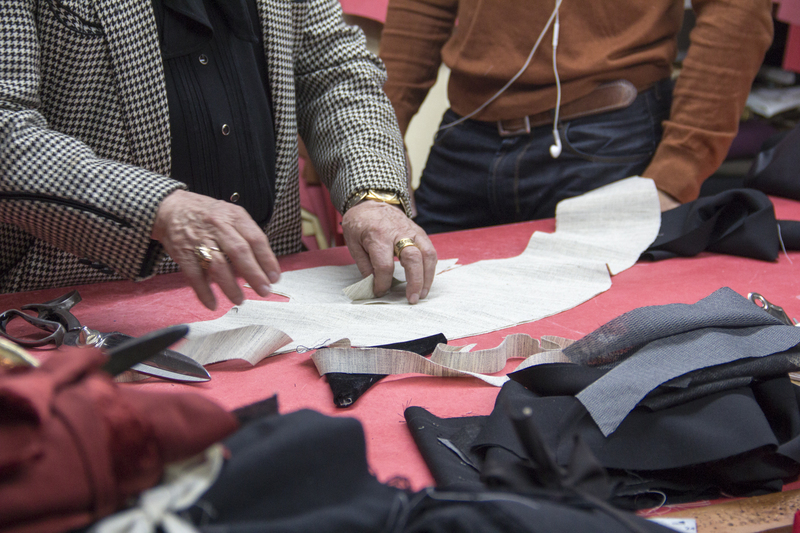 Manuel became passionate about his craft of sewing in 1945 and worked for several tailors in Los Angeles before becoming head designer and tailor for the infamous Nudie (who later became his father-in-law). 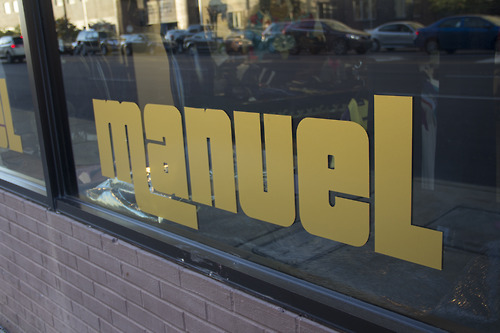 With a new storefront in the heart of downtown Nashville, Manuel is bringing his ready-to-wear line to the masses. 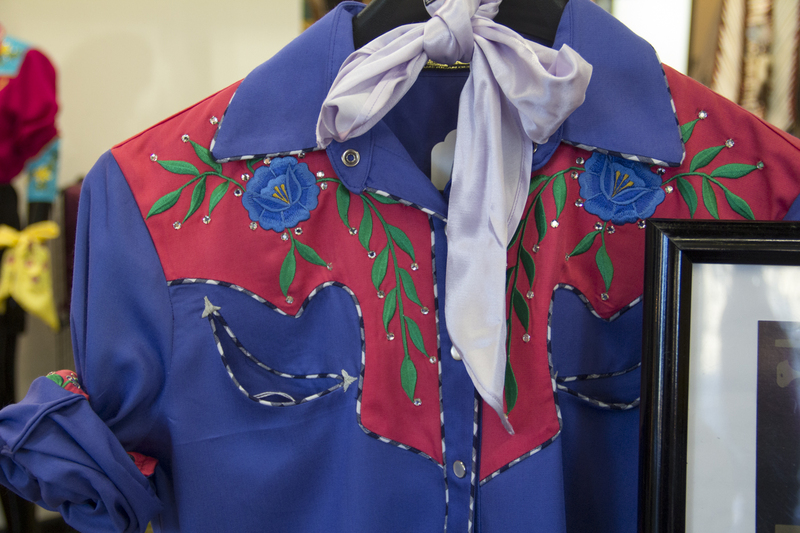 Be sure to stop in for a chance to see his flashy rhinestone suits and perhaps even meet the Legend himself.